Located at 37 College Plaza, Selden, N.Y. 11784. 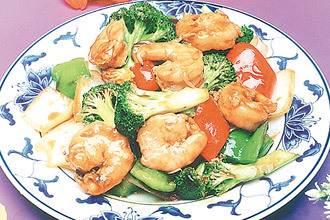 Our restaurant offers a wide array of fine Chinese dishes, such as Shrimp Chow Mein, Sesame Chicken, Beef w. Broccoli, Double Cooked Pork and Shrimp Fried Rice. Try our food and service today. Come in for a Lunch Special or during evenings for a delicious Chinese dinner. You can also online order your favorite Chinese Food for take out and delivery. If your have sepcial needs for you orders, we still strongly recommend you to call in so we can better assist you. Our goal at Golden Garden Restaurant of Selden, New York is to provide an unforgettable dining experience for all our patrons.